In addition to national championships, USA Cycling has several levels of calendars that a race director can apply to add their event to. 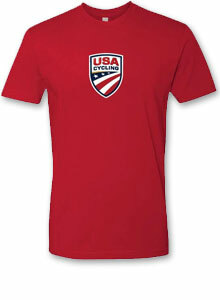 USA Cycling has 15 national championships throughout the year that are available to bid on for, in most cases, two-year increments. The events attract national and international press with family-friendly entertainment that receive positive feedback from local businesses. If you represent a convention and visitors bureau or city sports commission and are interested in hosting a national championship to showcase your city read through the Host City Information page and see what bids are available. The Pro Road Tour (PRT) is USA Cycling's national race series that highlights road cycling's premier domestic events to showcase the top U.S. team and rider. The American Road Calendar (ARC) is USA Cycling's regional race series that highlights road races. USA Cycling's Professional Cyclo-cross Calendar (Pro CX) features the premier cyclo-cross events in America and uses an overall ranking system to determine the best individual male and female ‘cross racers over the course of the season. The Pro CX calendar includes all of the UCI-inscripted category 1 and 2 races in the country. The purpose of USA Cycling's Cyclo-cross National Calendar (CXNC) is to recognize top domestic events and provide them with the opportunity to achieve UCI recognition. Those races that seek UCI inscription and inclusion on the Professional Cyclo-cross Calendar (Pro CX) must first be part of the CXNC for at least one year. Created in 2012 to feature the country's preeminent velodromes, the USA Cycling National Track Calendar (NTC) recognizes the best track cyclists in the U.S. The calendar employs a season-long rankings system where points are awarded to the top ten finishers in four sprint events (match sprint, keirin, team sprint, and time trial) and five endurance events (points race, scratch race, individual pursuit, team pursuit, and Madison). At the end of the calendar, a male and female winner will be named for both the sprint and endurance categories. USA Cycling's three pro mountain bike tours represent discipline-specific calendars of North America's premier off-road competitions. The Pro MTB Cross-Country Tour (Pro XCT) offers cross-country Olympic-style (XCO) and short-track cross-country (STXC) racing. All of the events on the Pro XCT are UCI-sanctioned, allowing Elite (pro) riders the opportunity to earn valuable UCI ranking points. Pro teams registered as USA Cycling Domestic Pro MTB teams will also be eligible for professional team rankings. Both the individual rider rankings and team rankings are updated after each event in the Pro XCT. The top-10 ranked riders in XCO for both males and females will have the bragging rights to a top-10 number plate at each event. The Pro MTB Gravity Tour (Pro GRT) offers downhill (DH) racing. Individual rider rankings will be offered for the Pro category. The gated events, such as dual slalom and four-cross (4X), may also be offered at some stops on the Pro GRT. Our goals for the Road Development Race Series are to continue to grow the racing opportunities for juniors and espoirs (U23 riders) by developing long-term partnerships with race directors who will create safe and fun events, while consequently improving the quantity and quality of road racing opportunities for young riders in the United States. The purpose of the USA Cycling Mountain Bike State and Regional Championship is to recognize the best mountain bike racers in each state and region. Through the USA Cycling MTB State and Regional Championships, riders will be eligible for state and regional titles and medals, along with being able to qualify and compete at the USA Cycling MTB National Championships. The goal of the American Mountain Bike Challenge (AMBC) is to recognize regional events which promote grassroots racing (including all ages and abilities of competitors) to actively grow the sport of mountain biking in the United States. In 2013, the AMBC became USA Cycling's mountain bike series dedicated to promoting junior development racing opportunities.